Germaine Broadbent is a professional in international education specialising in account management, sales & international payments. She started her career in the 90s working overseas in various language schools. After returning to the UK to have her daughter (now 18! ), Germaine spent several happy years working for a start up language agency in Brighton. Progressing through the company as it grew, her skills developed from an Academic Director through to Sales Director. The team quadrupled & many long term friendships were formed. Post her second child, a son, several years later, Germaine started her own company, providing career services for international students. Signing up a string of language school clients & meeting hundreds of international students in the process, was a time of great development. Since 2012, Germaine has worked within the international payments sector, focusing on education. Her current role is Relationship Manager for Flywire. She is lucky to work remotely from her home in Sussex & her clients are universities, boarding schools, language colleges & more. Emily Busse joined the Global Leadership League team in April 2018 as a way to give back to the international education field, which has provided her with so many opportunities. Following in her mother’s footsteps, she spent her junior year of high school in Spain, an experience that remains a driving influence in her life. Emily formally began her career in international education when she accepted her first position at ISA in August 2011. Emily managed programs in Spain and across Europe for several years, eventually becoming the Associate Director, Enrollment Management and helping to oversee the operation of ISA’s Admissions Department. Emily relocated to Melbourne, Australia in 2016 to head up ISA’s global mobility initiatives in the region. Her role as Global Mobility Manager has her working with Australian and New Zealand universities to help provide new opportunities for their students and support their strategic goals to increase outbound mobility form their campuses. Aimee Hani serves as the Custom Program Manager for Australia, as well as working as a Resident Director for International Studies Abroad and is based on the Gold Coast, Australia. She pursed her dream to play college basketball in America and spent 5 years over there before returning to Australia. She has traveled to over 16 different countries and has also lived in Dubai and Thailand. Aimee holds a B.A in psychology from St. Edward’s University and in her short international education tenure has developed a desire to become engaged in projects that have international education as its focal point. She is a basketball enthusiast, loves the beach and is constantly on the look-out for her next travel adventure. Brittany L. Jackson, M.A., is the Assistant Director of Strategic Academic Initiatives and Study Away Coordinator at Hiram College. Brittany received her B.A. in theatre and communication and her Master of Arts in interdisciplinary studies with a focus in education and psychology, specifically autism in higher education, from Hiram College (Hiram, OH). She is currently pursuing her Ed.D. in educational leadership studies from Ashland University (Ashland, OH) with a focus on autism in higher education. She is also currently pursuing a certificate in autism spectrum disorders from Kent State University (Kent, OH). Erica Jorgenson has worked as a Study Abroad Coordinator at Cal Poly, San Luis Obispo, one of 23 California State University campuses, for 4 ½ years. Her background of working in education and travel both in the US and abroad was a windy path that led her to this field and she is so happy to be a part of it. She coordinates and advises on affiliated partner programs and international exchange programs and manages the Peer Advising team. She also received a Master’s Degree from SIT Graduate Institute in International Education in 2015. She is passionate about the field of International Education and in particular, mentoring others new to the field. She looks forward to strengthening women’s leadership in the field through her role with the Global Leadership League! Noreen Lucey's first international education experience started over 20 years ago as an Erasmus student in Germany and she has worked and lived abroad for much of her career since. She holds a B.A. Hons in European Studies and Languages and an M.A in International Relations. She runs a consultancy company from offices in Dublin and Beijing, working with higher education institutions on internationalization strategies, student recruitment and campus diversification. Having lived overseas for much of her career in Europe, Australia, USA, Latin America and Asia, she now has a network of global consultants who share her vision of International Education. Recently she has started working with social enterprises globally, connecting universities to these organizations. This is to enhance the study abroad experience for academia and students and help social enterprises in the process. Micaela Mathre is currently the Director of Marketing and Community at Via TRM, a next generation software company in international education. Previously, she helped lead Generation Study Abroad, a national campaign by the Institute of International Education seeking to double the number of U.S. students who study abroad before the end of the decade. She honed her digital marketing skills collaborating with education technology companies in the NYC area. She also helped launch Disrupt Design, a team of spirited designers in NYC seeking to instigate social change using design thinking tools. The common thread throughout her background has been a curiosity about the potential of human-centered technology and a commitment to student success. Sara McGuinn is a Senior Study Abroad Program Manager in Northwestern University’s Office of Undergraduate Learning Abroad, where she advises outbound study abroad students as well as supports inbound international exchange students. Her professional interests include foreign language acquisition, campus inclusion initiatives, assessment of student learning outcomes, and mentorship. She holds a BA in Spanish from Northwestern University and an MA in Applied Linguistics from the University of Massachusetts Boston, and she is a proud alumna of NAFSA Academy Class 12. Prior to joining the education abroad world, she taught ESL at her local community college. Outside of work, she loves spending time with her husband and children, reading, watching (and re-watching) Marvel movies, and listening to live music. Dr. Amy Rell is the founding Dean of Global Education at Regis University. She holds a Ph.D. with an emphasis in Second Language Acquisition and Applied Linguistics from UCLA and a B.A. in Spanish Language and Literature from Tulane University. Dr. Rell’s research and publication record is primarily focused in the areas of globalization and internationalization, applied linguistics, Dual Language and serving Hispanic students. She has presented numerous papers at national and international conferences. Dr. Rell was inducted into Phi Beta Kappa, awarded a Fulbright Scholarship, a National Endowment for the Humanities Fellowship and the Association of International Education Administrator’s Presidential Fellowship. In service to the profession, Dr. Rell has served as an executive board member for the Hispanic Chamber Education Foundation and the Association of Jesuit Colleges and Universities International Education Team. Ashley Sinclair is the director of off-campus programs at Lake Forest College where she is working to help students have an affordable and immersive global experience, whether that is outgoing study abroad students or incoming exchange students. She has developed partnerships across campus to reach underrepresented populations, including students of color, students that identify as LGBTQ, males, STEM majors, student-athletes, and first generation college students. Formerly, Ashley was the assistant director of study abroad and cultural programs at the Illinois Institute of Technology (IIT). In addition to working with students in the science, technology, engineering, and mathematics (STEM) fields, she sought to increase opportunities for incoming international students to get involved in their host country. Previously, Ashley was involved in the pilot of the NAFSA Grassroots Leadership Program, where she focused on ways to increase language learning opportunities for students in the STEM fields. She received her MEd in social and comparative analysis in education from the University of Pittsburgh. She completed her bachelor’s degree with a triple major in history, anthropology and sociology and a double minor in classics and religious studies, also from the University of Pittsburgh. Ashley studied in Greece for a semester, interned in Greece for a summer, and participated in service-learning program in Peru, and these experiences guided her to the career she has (and loves!) today. Sandy Schoeps Tennies consults with institutions and organizations to help them advance internationalization and create an educational environment that promotes global thinking among students, faculty, and staff. Her consulting focuses largely on operations, system/process development, and technology implementation. 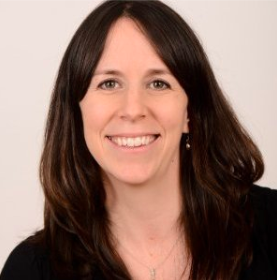 She launched Great Circle Global Education Consulting after working for nearly a decade on the staff of NAFSA: Association of International Educators and for 11 years on a US university campus. She holds an MA in education leadership and policy from the University of Maryland College Park and a BS in Psychology from the University of North Carolina at Chapel Hill. Kanette Worlds is the Student, Faculty, & Young Professional Activities Coordinator for the American Concrete Institute, a membership-based association for concrete professionals spanning over 120 countries. As the liaison for several committees, she is responsible for recruitment, retention, and engagement of the organization’s 11,000 student members, 500 faculty network members, and 150 student chapters. Prior to joining ACI, Kanette lived in Tanzania and worked as the Communications Officer and Journalism Internship Coordinator for Projects Abroad, an international volunteering organization headquartered in the UK with offices and projects in 50+ countries. Her passion for international education has led her to volunteer as a host family and local coordinator for high school exchange programs. In addition to a BS in Business Communication, she has a Certificate in African Studies from Yale University and is currently pursuing an MS in International Studies at Concordia University-Irvine. Nikki Powers, Chief Commercial Officer, GoAbroad - Nikki focuses on business development and partner relations for GoAbroad.com and has been with the company since 2011. 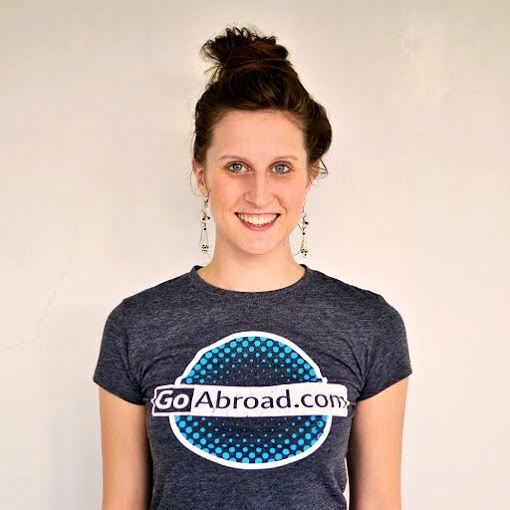 Nikki has experience volunteering, teaching, working, and studying in Latin America, Europe, Africa, and Asia. She is passionate about women in leadership, entrepreneurialism, company culture, efficient teams, and delicious food. Nikki enjoys sharing her knowledge in the field and has presented at various conferences including NAFSA, EAIE, CIEE, and WYSTC. Pamela Roy is the founder of the Consultancy for Global Higher Education. She offers project management and strategic leadership in the areas of youth education, diversity and equity, and faculty development. Some of her clients have included the MasterCard Foundation, Diversity Abroad, Michigan State University, Academic Internship Council, Association of American Colleges & Universities, and the POD Network in Higher Education. Dr. Roy's research expertise includes the global professoriate, access and inclusion in education abroad, and the ethics of global mobility programs. She has served as a faculty member, leading programs abroad to South Africa, Rwanda, and New Zealand, most notably the Global Institute for Inclusive Leadership. Dr. Roy has over 15 years of experience in international higher education and has committed her scholarly background and creative leadership abilities to foster community-building at the local, national and international levels. She received her PhD from Michigan State University. Her professional activities and publications can be accessed at pamelaroy.net. Jennifer Pitts has worked within the field of international education for fifteen years, committing the majority of this time at CAPA The Global Education Network and CIEE. Jen is currently the Director of Custom Programs at CAPA, and strategies with universities to develop meaningful and creative programs abroad. Jen is always excited to understand institutional goals for internationalization and how she can help support a vision. She has been a member of the League for a year and appreciates the opportunities for support and inspiration from colleagues within the field. Jen has lived abroad in Australia and has traveled extensively throughout all of Eastern and Western Europe and Southeast Asia.